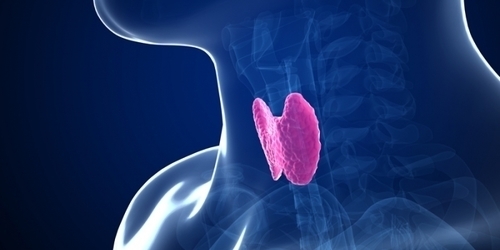 There is a worldwide epidemic of thyroid cancer. South Korea has been hit the hardest; in 2011, the rate of thyroid cancer diagnoses was fifteen times what it was in 1993. There have also been dramatic increases in other countries including the United States, France, Italy, the UK, and Japan, and lesser increases in Scandinavia and Australia. What is going on? Could there be some new environmental carcinogen that we haven’t identified? We know radiation is one cause; the rate of thyroid cancer increased significantly following the Chernobyl disaster. It may be associated with obesity, but the relationship is not clear. Why is South Korea more affected? Should we be frightened? Should we avoid traveling to South Korea? Should we all go get tested for thyroid cancer before it’s too late? Before you get too alarmed, consider this curious fact: while the incidence of thyroid cancer has been rising, the incidence of deaths from thyroid cancer has remained stable or declined. What could that mean? You’re more likely to get it but it’s less likely to kill you? Thyroid cancer is very common. A lot of us have it without ever knowing it. Autopsy studies have shown that over a third of older adults who die of other causes have thyroid cancer that has never caused them any harm. When a screening test detects cancer, there is no way to know if it is one that is harmless or one that will grow or metastasize, so all detected cancers have to be treated alike. Patients undergo surgery with all its attendant risks, they may be exposed to radiation treatments, and they may have to remain on thyroid hormone replacement for the rest of their lives. Insurance claims show that 11 percent of patients have postsurgical hypoparathyroidism and 2 percent have vocal cord paralysis. Despite guidelines recommending against surgery for tumors smaller than half a centimeter in diameter, a quarter of surgeries are currently being done on tumors smaller than that. Given the lack of evidence that early detection of thyroid cancer by screening improves outcome, the high prevalence and uncertain clinical significance of occult thyroid carcinoma, the poor sensitivity of neck palpation in the detection of thyroid nodules, the fact that most positive screening tests would be false-positives, and the invasive nature of diagnostic tests (e.g., biopsy) likely to follow a positive screening test, routine screening for thyroid cancer cannot be recommended at this time. For persons irradiated in childhood, the greater likelihood of having both thyroid nodules and malignancy means that the yield from screening is likely to be higher. The clinical benefits of such screening have not been established, however. South Korea has had national health insurance since the 1980s. Their medical costs are relatively low, but their system is technology intensive. Among OECD countries, Korea ranks second in acute care hospital beds per capita, fifth in CT scanners, and fourth in MRI machines. In 1999, they started a national screening program for cancer and other diseases. They offer screening for breast, cervical, colon, gastric, and hepatic cancers free of charge or for a small copayment for higher-income patients. Recently more and more providers have been adding on thyroid screening with ultrasound for an additional fee of $30–50. Hospitals market programs that include it, and many general practitioners have ultrasound machines in their offices. The government and the media have strongly stressed the value of early diagnosis. So what it boils down to is that there is no increase in the incidence of thyroid cancer; there is just an increase in diagnosis of small, early cancers, many of which might never have caused problems. In a recent article in the New England Journal of Medicine, http://www.nejm.org/doi/full/10.1056/NEJMp1604412, experts looked at the numbers for twelve countries and estimated that the proportion of over-diagnoses was 70 percent in South Korea, France, and Italy, and 45 percent in the United States and Australia. They estimated that more than 470,000 women and 90,000 men may have been over-diagnosed with thyroid cancer in the last two decades. In short, the apparent “epidemic” of thyroid cancer is nothing but an artifact, an illusion created by ill-advised thyroid screening. There is no epidemic. Small cancers are being diagnosed earlier, but early detection has had no overall impact on survival. This is a cautionary tale: sometimes screening does more harm than good. Individual patients suffer, and society wastes money on unnecessary treatments. The USPSTF has been very reliable in putting all the risk/benefit evidence into perspective for us and coming up with recommendations for screening tests that have been shown to do more good than harm. Early diagnosis may sound like a good thing, but screening tests can kill. They can lead to invasive, dangerous medical procedures that are unnecessary and don’t benefit the patient. It pays to be skeptical and to listen to the experts. Just because you can screen for a disease doesn’t mean you should. Harriet Hall, MD, a retired Air Force physician and flight surgeon, writes and educates about pseudoscientific and so-called alternative medicine. She is a contributing editor and frequent contributor to the Skeptical Inquirer and contributes to the blog Science-Based Medicine. She is author of Women Aren’t Supposed to Fly: Memoirs of a Female Flight Surgeon and coauthor of the 2012 textbook Consumer Health: A Guide to Intelligent Decisions.